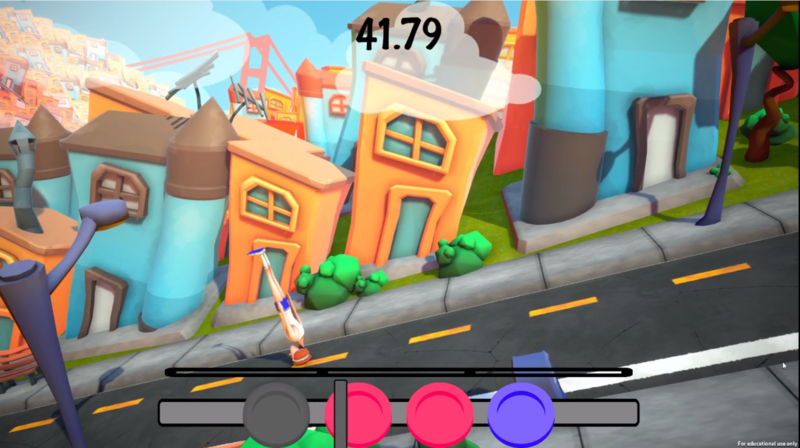 Bea the Bullet is an upcoming time-trial racing game in which the player takes control of Bea. Bea's job is to enter the mind of a human target and hit their representation to fill them with love as fast as she can. Bea collects heart boosts and shatters crystals as well as uses her powers to slow time to help her along the way. Prepare for Adventure is a narrative adventure game originally created for TOJam12, then later adapted for Hand Eye Society's one-button arcade cabinet. 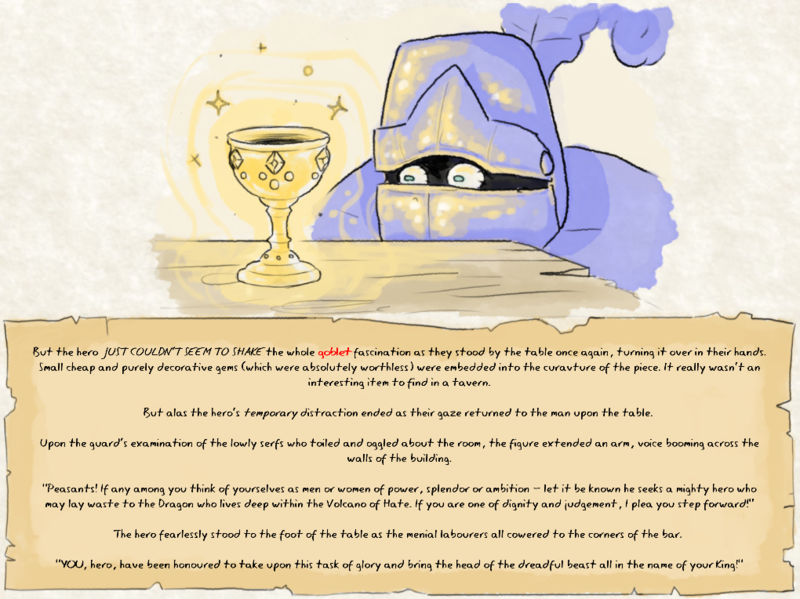 Players can choose whether or not to listen to the narrator and are encouraged to explore the various interactions they can have with the one button to find all 9 hidden endings. Synch is a zen-like puzzle game in which the player slows down individual elements to synchronize their movement, resulting in a visually pleasing moving pattern.